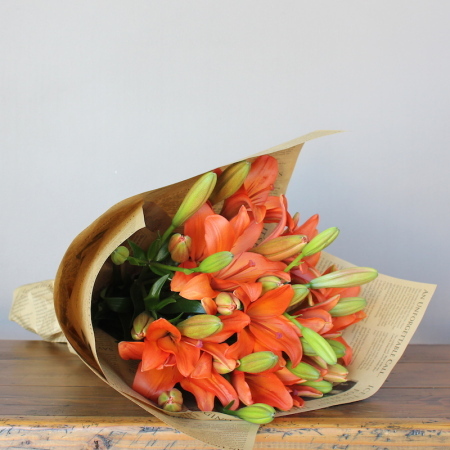 A vibrant bouquet of orange Tiger Lilies make a perfect gift to brighten up any room. Suitable for all occasions, they are delivered in a simple brown wrap and tie. Simply place them in a vase to create a bright display for any home or office space. Do you want to make this gorgeous gift even more special? Browse our gift section for a perfect accompaniment. Order online now or phone our friendly staff at Florist With Flowers on 02 9871 1666.